Hennebery Eddy Architects, Inc. is honored to receive the 2018 Firm Award from the American Institute of Architects Northwest & Pacific Region (AIA NW+PR). This award distinguishes an architectural practice for excellence in design, contributions to the profession, a record of community engagement, and a commitment to fostering an exceptional work environment. 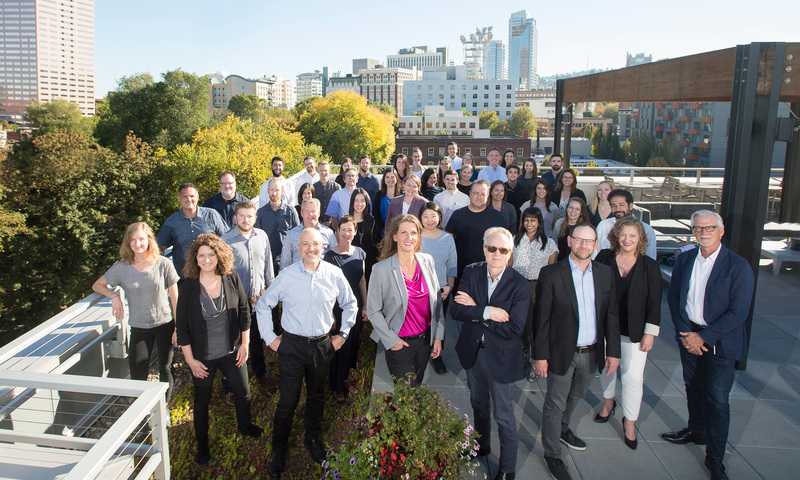 In the past two years – including the firm’s 25th anniversary year – Hennebery Eddy has achieved a “personal best,” working on the designs of its largest, most sustainable projects to date by its most diverse staff to date, all while seeing business growth. Established 26 years ago, the firm emphasizes a collaborative design process, professional development, and personal growth and expression among staff. This office culture encourages design input from all staff members and clients, resulting in award-winning projects that exceed their goals in design, programmatic response, and sustainable solutions. The practice is also recognized as a JUST Organization through the International Living Future Institute, reflective of a long-standing commitment to net-positive design, social responsibility and workplace equity. “In receiving the Firm Award, Hennebery Eddy is in the company of firms we have admired since we launched in 1992. The honor is tremendous and reflects our values, our people, our clients, and our teams and the work we all do together,” said Timothy Eddy, FAIA, firm president. To explore key ideas and selections from the firm’s award submission, please visit the firm award page.